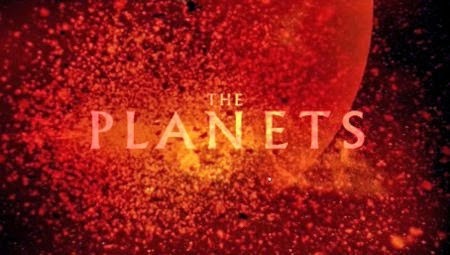 BBC The Planets is a 7-hour miniseries produced by the BBC and A&E and released in 1999. It documents the Solar System and its nature, formation, and discovery by humans during the space age. The series of eight episodes includes a substantial amount of archival footage from both the United States and Soviet space programs. It also depicts the Solar System through computer graphics. Episode 1: Different World - The first episode covers the early attempts at space travel and the development of rocket technology. Episode 2: Terra Firma - The story of the terrestrial planets and their exploration. Episode 3 : Giants Looking at the giant planets of Jupiter, Saturn, Uranus and Neptune and the journeys of Voyager 1 and Voyager 2. Episode 4 : Moon - Detailing the moon and the race to reach it during the "Space race" years. Episode 5 : Star - Concentrating on the Sun, the early belief in it being a god and the science behind its behavior. Episode 6: Atmosphere - A look at the atmosphere of our planet and those in the rest of the Solar System. Episode 8: Destiny - The final episode explores the future of the solar system, plus research into extrasolar planets.